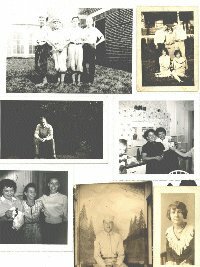 These pictures have been first published on the US Cavey Family Site. I've put them here to encourage the interested Cavey to joint this site (you need to subscribe - for free - to access the site). [Note of the editor] : Some pictures are heavy (hundreds of KB), when seen in actual size. If you are accessing the site via a standard modem (56 Kb/s) you will need to wait several minutes to get them. Nathan Cavey, son of Joseph Cavey and Sarah Knight Cavey. 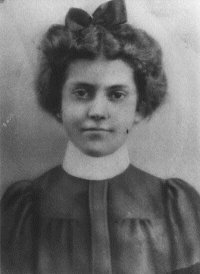 Wife-Mary Ann Frost, (Bill Norris's Great grandparents). Her twin, Catherine, married Nathan's brother William Cavey and they lived next to each other at Grays. 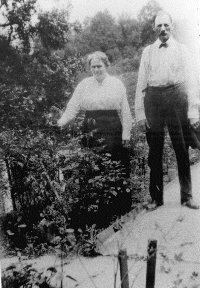 The wives parents, Catherine and Wm Frost, lived in front of them next to the railroad tracks. Taken : 1860's at Ellicot City Maryland. 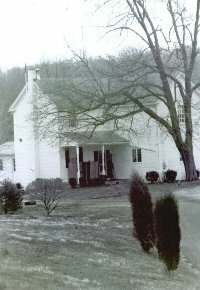 Home of Mary Ann Frost and Nathan Cavey. College Ave, Ilchester, MD Built around 1891. They moved here from "The Old Home Place" at Grays. 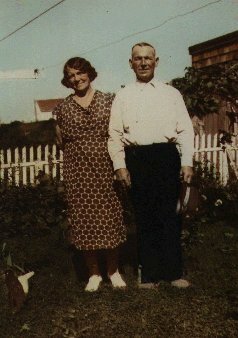 (Bill Norris's Great Grandparents.) The Cavey Cemetery on land attached to this house. Taken : 1990 at Illchester MD. Caroline Elizabeth "Carrie" King daughter of Mary Ann (nee) Bowers and Frederick King. 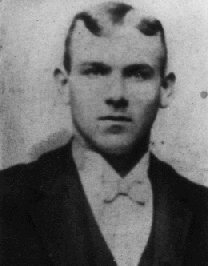 William James Cavey, son of Mary Ann Frost Cavey and Nathan Cavey. Taken : 1920's in Grays MD. 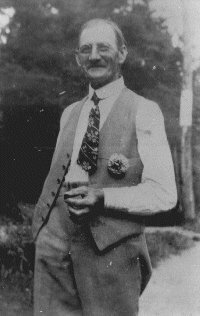 William James Cavey, son of Mary Ann Frost Cavey and Nathan Cavey (Bill Norris"s Grandfather). 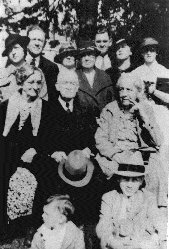 Front, 1 to R. Donald Ernest Norris, Frederick Natzle; seated-Addie Norris, Rev. James Edward Norris, Mame Norris Becker, standing-Belle McCreary Norris, Bessie Elizabeth Norris Albaugh, Maude Irene Cavey Norris, Ernest Frederick Norris, Unknown, Naomi Norris Natzle. 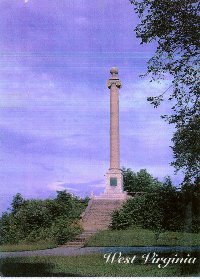 The monument is in commeration of Rumsey who ran the 1st steam boat on the Patomac River in that area. It is named "The Sphere" and the ball on top is a globe of the world and is 6 feet across. Mary Swann Cavey, Wife of James Cavey. Think she was 15. Shes was half indian from the tribe Mattaponi..which was a part of the Algonquin Nation. That Mattaponi's are located on the Mattaponi river in Va.. not to far from Jamestown Va.
She was born in Occoquan Va..Prince William Co Va. they lived there till the late 1880's or 90's till her family moved north to Savage Maryland. I would guess because of work reasons. 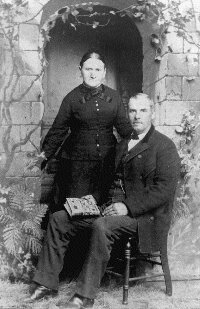 There she met James Thomas Cavey at a church social.. later were married. They started there family in Granite or Savage Md and later moved to Landsdown Md because of the work. Taken : Late 1800's in Virginia or Maryland. 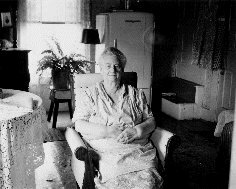 This is a favorite picture of my Great Grandmother Annie Mae Standley Cavey Lehew. She was the widow of John Evan Cavey, Hollister, Ohio(Trimble Twp.) My memories of the annual family reunion at Great-grandmas house, around Labor Day each year. Aunts, Uncles, Cousins, all descended on our little green valley in the beautiful hills of southern Ohio. From all over the state they came for this annual injection of family. The food was marvelous and endless. Birth, deaths, marriages, divorces (quitely,please) were discussed, everyone being brought up to date. The two bedroom log cabin nestled in a remote valley, was the heart and soul of the Cavey family. It no longer exsists but in our memories. We had to cross the creek and travel up a long wooded lane to reach the house. The adults would let me out, after crossing the creek, to pick flowers for Grandma. In the spring, johnny jump ups, purple violets, periwinkles and daffodills seemed to be everywhere. Every little kid in the family would pick flowers and grandma praised each bouquet as iif it was the only one she had ever received. If any of you remember Grandma Cavey, please jot down a memory. Taken : Early 1960's at Glouster, Ohio. 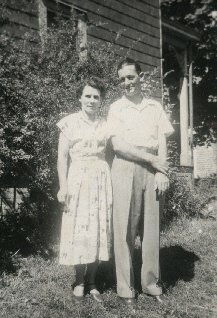 James W Sr. and Louise Cavey in the 1940's. 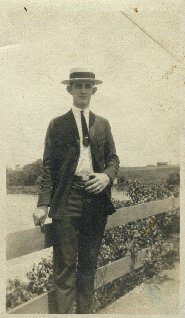 James W. Cavey Sr. as a young man in the late 20's. Top Left picture: 1st pictured is Theodore Cavey.. and his school chums in the 30's. Middle left: Theodore Cavey son of James Cavey 40's He was in the Army. Middle Right: Rebecca and Thelma Cavey Daughters of James Cavey Grandaughters of Ezekial Cavey 40's. Here is a picture of James Cavey and his wife in Maryland 2017 Flower Lane & Garden Ave. Baltimore Md. Taken : Not sure of the date. Probably late 40's early 50's. An an other picture of James when he was youngest. 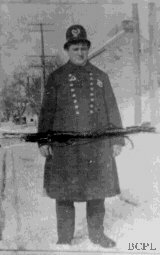 Police officer James Cavey stands firmly in the snow in Catonsville (Maryland) in the late 19th or early 20th century. His winter uniform shows a double row of buttons, his badge and a "Keystone" helmet.